Tweed look but new lightweight fabric – soft cotton jersey. 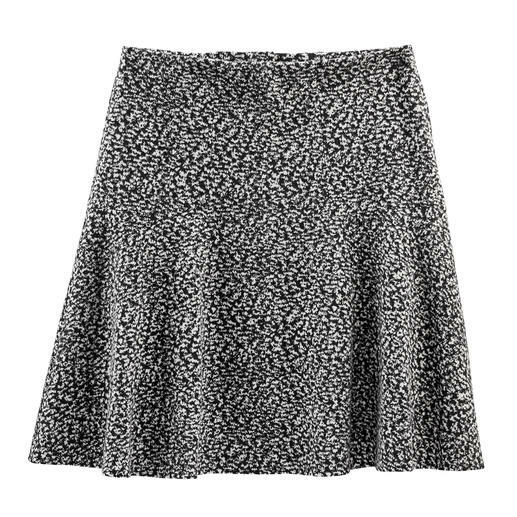 Perfect for the trendy swinging skirt cut. Elegant. Business appropriate. And yet bang on-trend. 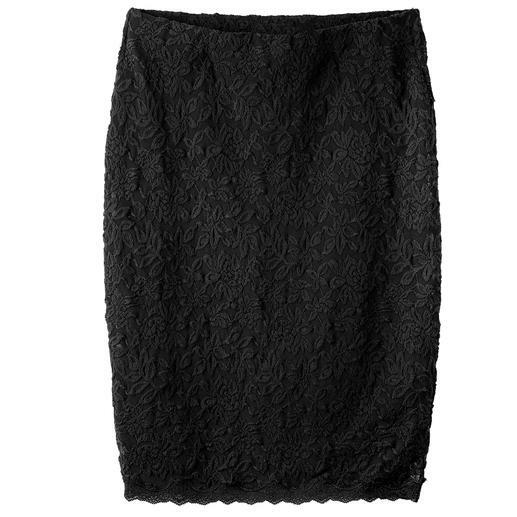 A skirt like this is a must for every woman’s wardrobe. 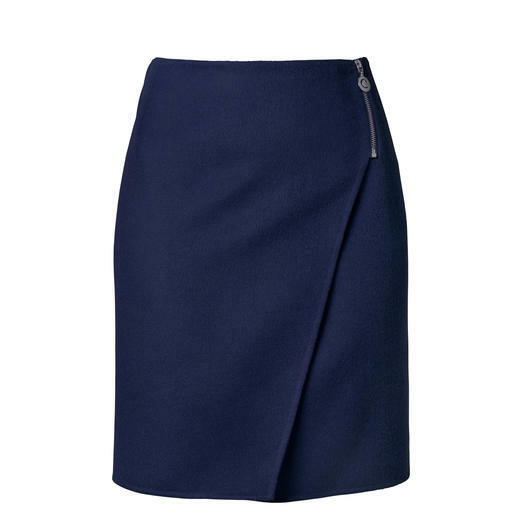 Rare: An elegant skirt, but so easy to wear and versa­tile that you can wear it whenever you like. By Cacharel. 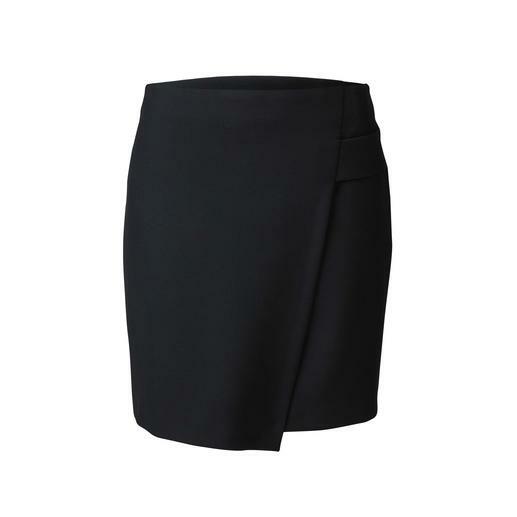 Skort: Skirt on the outside, shorts on the inside. Ingenious functional skirt by Key West, Copenhagen. 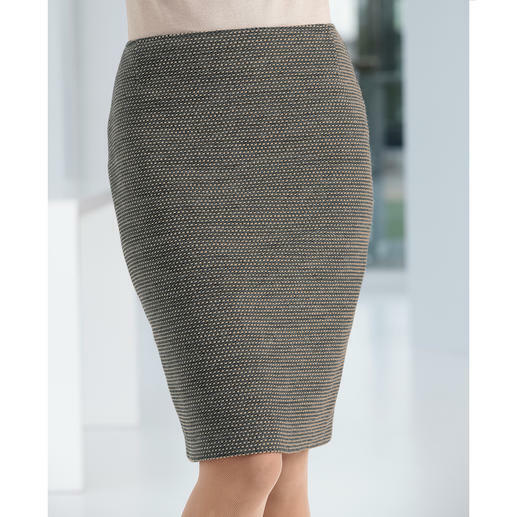 Comfortable flattering knitted skirt with godet pleats.